Parry Sound—Muskoka is a provincial electoral district in the Canadian province of Ontario. The riding was once held by Ontario Premier Ernie Eves, and at present by Norm Miller, son of former Premier Frank Miller. The district, which has existed since 1999, has identical boundaries to those of the federal district of Parry Sound—Muskoka. 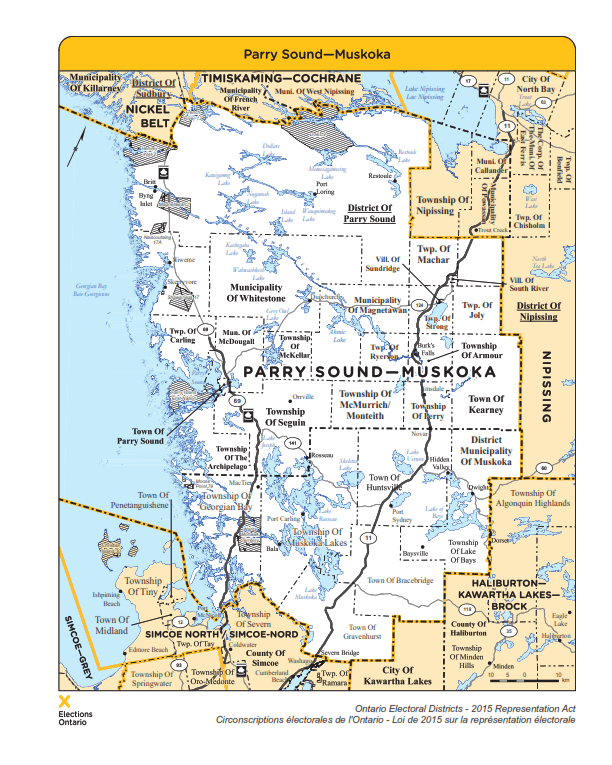 The riding consists of the Territorial District of Parry Sound (excluding the Town of Powassan, the townships of Nipissing and North Himsworth, and the part of the Town of Killarney contained in the district), the District Municipality of Muskoka, and the part of the Town of Kearney lying in the Territorial Nipissing District.